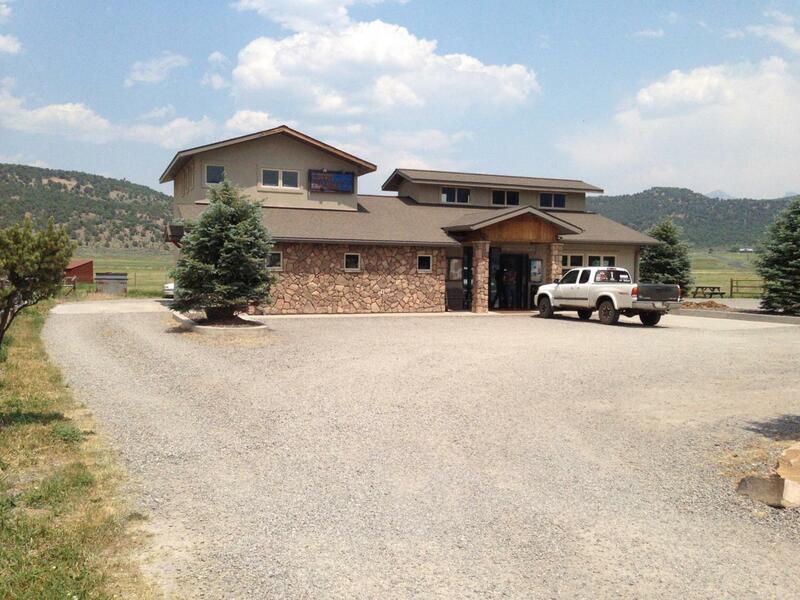 Located in the heart of the beautiful Town of Ridgway, this mixed-use commercial building is 2,352 sq. ft on the first floor and 588 square feet on the second floor, where the residential space is located. The options here are endless: retail space, professional office space, live & work scenario, restaurant space (with retrofit) and more. Anything from souvenir shop, art gallery, real estate offices, attorney offices, dentist offices, medical clinic - your imagination is the limit!! Currently vacant, this building is ready for your business to move right in and set up shop. Parking lot has 11 spaces including one - 13' x 9' concrete ADA compliant space and access aisle. There is 24' x 9' concrete drive thru lane to drive up window. Also included is an 8' x 8' concrete dumpster pad.